Please check with your child this evening, Monday, November 19th, to see your child’s progress report for the mid-term of the second nine weeks. If you are concerned with an individual grade, we encourage you to contact your child’s teacher either by phone, email, or if necessary, a scheduled conference to discuss it further. Individual teachers will be able to provide you with more in-depth information on your child’s class performance. 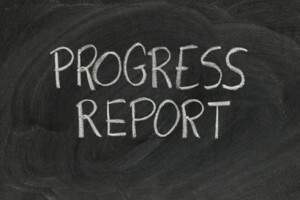 To confirm you received a progress report, we ask that you please sign and return your child’s progress report to their homeroom teacher no later than Thursday, September 20th. The Parent Portal website in Powerschool is a helpful resource to stay informed on your student’s academic performance. This online system provides parents with instant access to student’s grades and attendance throughout the school year. If this is something you would like access to, please fill come by the CMS guidance office with a photo ID and fill out an access application. Once CMS has verified the application has been submitted by a parent or legal guardian, you will be mailed an access letter with instructions on how to to set up your parent portal account. We encourage all parents to take advantage of this wonderful opportunity. If you you haven questions please feel free to contact the school office at 646-3467.